A1 Motorist Centre has been established since 2005 and offers the latest technology that the motor industry can offer, combined with good old fashioned value and customer care. We offer you a clean comfortable reception / waiting area with complimentary refreshments, a Wi-Fi internet connection and toilet facilities (including disabled access). We offer many services, detailed on this site, and our advice is free and impartial. We are members of the Good Garage Scheme, and subscribe to the Motor Industry Codes of Practice. We are also proud to be a "Which" approved motor trader. 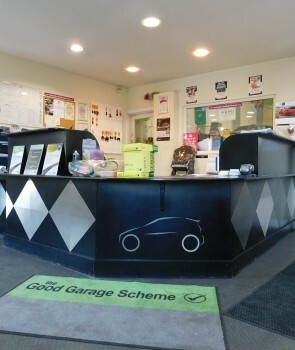 We have a 5 star rating by the Good Garage Scheme, and you can book online through them. We undertake all manner of repairs, as well as services and MOTs. Our garage serves the Thanet towns of Margate, Ramsgate, Broadstairs in East Kent. Very professional staff. I have recommended this garage to family and friends. Stress free service. Excellent customer service, efficiency, quality of work and price. Very busy, helpful and will go there whenever something needs fixing. 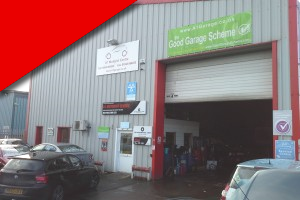 All these testimonials are given impartially through the Good Garage Scheme, and can also be viewed on their website.